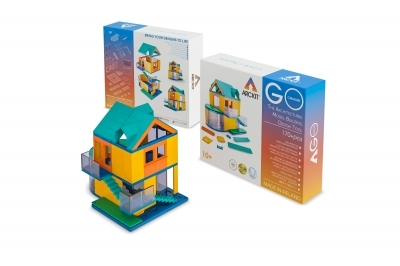 Arckit Go Colours $59.99 Ages 10 + A fun way to learn design skills early on. Large floor plates and easy "click and connect" components make this a perfect starter set for younger architects. 175+ pieces. Fun way for the older kids to design houses that are more advanced. Fun colors and designs. Reminds me of Lincoln logs which was always fun. I like that you build it from nothing, any way you want.